On Sunday it snowed like crazy around here. We were totally stuck at home, but when you have treats to eat, a big cup of delicious coffee, and the house is cozy and warm, it really is kind of nice. 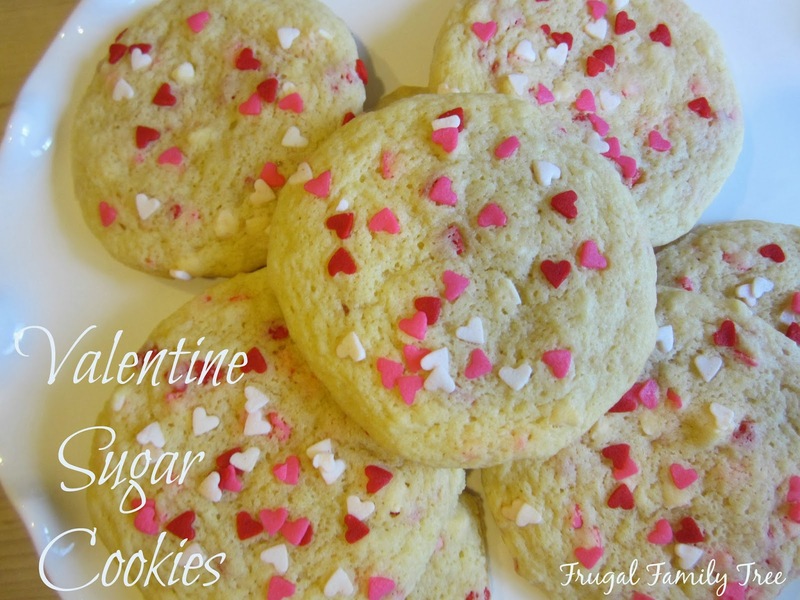 With Valentine's Day just around the corner, I knew it would be a good day to make these cookies for my grandchildren. I have made a lot of sugar cookies that weren't all I'd hoped they would be, but this is the best recipe I've ever used. 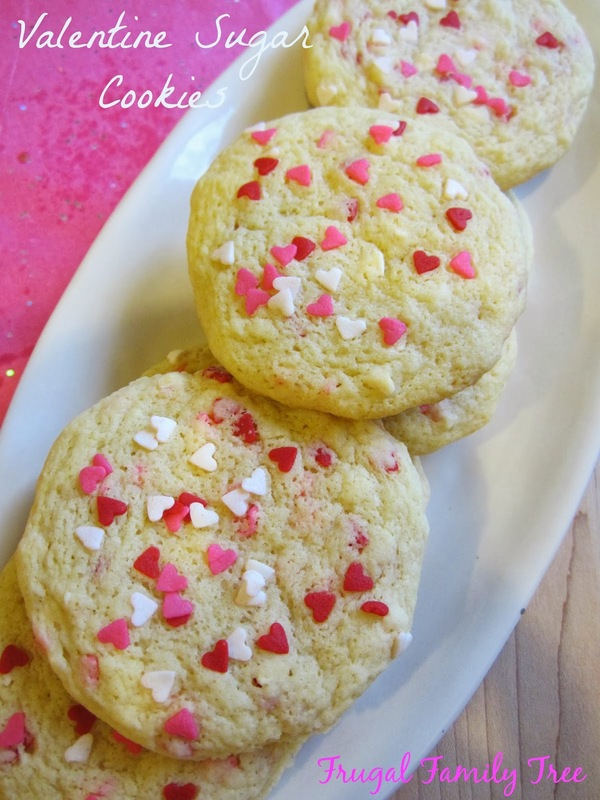 The cookies are moist and delicious, and very easy to make. The kids loved them and I had such a good time making them. And of course, you can use different kinds of sprinkles for different holidays, they will all look great on this cookie. In a large bowl, and using an electric hand mixer, cream together butter and sugar until light and fluffy. Beat in egg and vanilla until well blended. Add flour, salt, baking powder, baking soda, and cream of tartar, and mix until it forms a dough. Reserve 3 tablespoons of sprinkles, and fold the rest into the dough. On a cookie sheet lined with foil, place heaping teaspoons of dough, spacing evenly. Press down on dough just enough to get a flat surface. Sprinkle with reserved sprinkles. Bake in preheated oven 8-10 minutes. Let cookies cool on cookie sheet before removing.